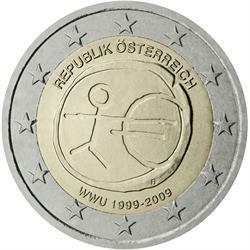 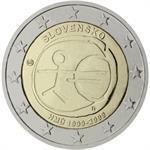 Home > eu topics > currency > 2009 Austria €2 UNC Coin "EMU 10 Years"
For the second time in its short history, all eurozone member states will issue a €2 coin with a common design also on the national side. 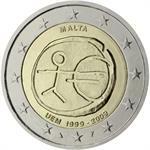 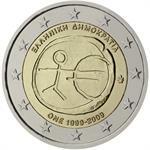 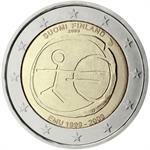 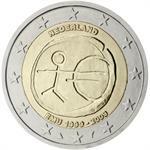 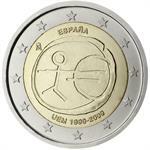 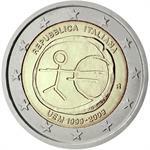 In 2007, the issue celebrated the 50th anniversary of the Treaty of Rome, while this new €2 coin celebrates ten years of economic and monetary union (EMU). 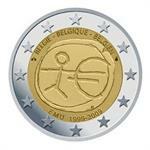 EU citizens and residents have selected the new design by an on-line vote. 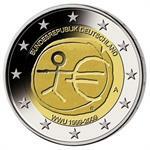 The design symbolizes the euro as the latest step in the long history of European economic integration, and was created by Mr. G. Stamatopoulos, sculptor at the Minting Department of the Bank of Greece. 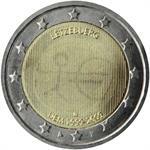 The center of the reverse shows a stylized human figure whose left arm is prolonged by the euro symbol. 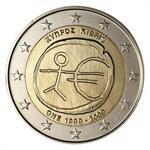 The initials ΓΣ of the artist appear below the euro symbol. 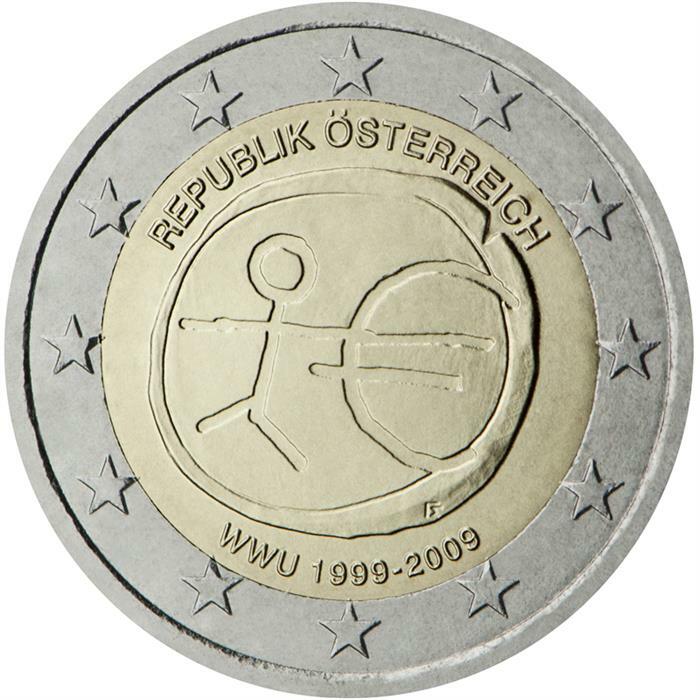 The name of the issuing country written in the national language(s) appear(s) at the top, while the legend “1999-2009” and the acronym EMU translated into the national language(s) appear at the bottom. 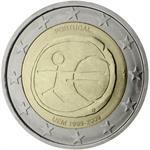 The twelve stars of the European Union surround the design on the outer ring.